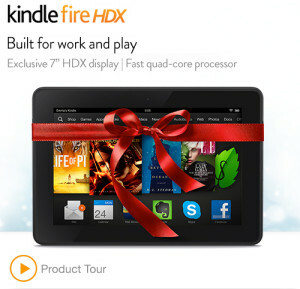 Kindle Fire HDX $30 OFF Just $199 Shipped! You are here: Home / Great Deals / Amazon Deals / Kindle Fire HDX $30 OFF Just $199 Shipped! Through tomorrow, you can get $30 off the Kindle Fire HDX 7″ and the Kindle Fire HDX 8.9″. Get the 7-inch Kindle Fire HDX for as low as $199. And, shipping will be FREE!